Over the last couple of months, we’ve started seeing devices that take full advantage of Windows 8, and we expect to see more devices across more attractive price points over the coming months. As part of this, we are also working closely with OEMs on a new suite of small touch devices powered by Windows. Microsoft cooperates with OEM-manufacturers with the development of smaller touch enabled devices. We don’t know if this is about Windows 8 or Windows RT, or if they plan to release more Surface tablets. But according to the statement it seems like they are focusing on their partners to release smaller tablets. These devices will have competitive price points, partly enabled by our latest OEM offerings designed specifically for these smaller devices, and will be available in the coming months. Microsoft may subsidize the cost for the Windows license to lower the price point. Smaller tablets with Windows should be available on the market in the coming months. 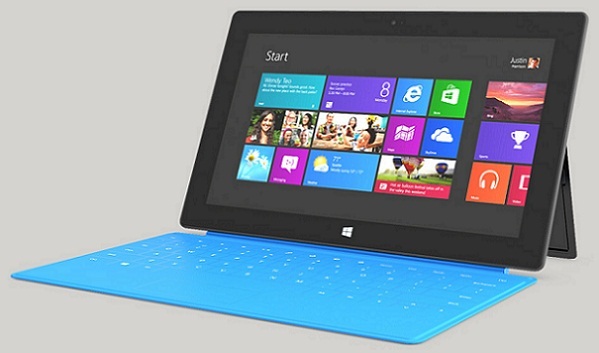 They may launch them when the introduce Windows 8.1 “Blue”.